This marble marker with a plaque is dedicated to the men of Caswell County who fought in the first World War. 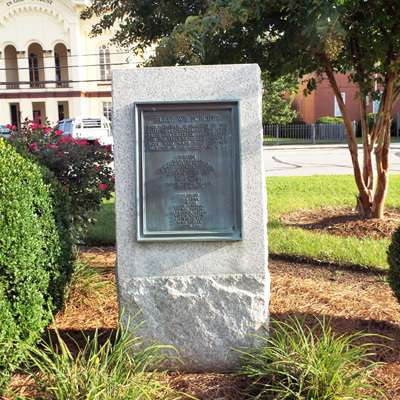 It is located on the Caswell County Courthouse square in a memorial garden. The plaque is atypical in that it lists both black and white men who fought and died in WWI. The monument was likely erected sometime in the 1920s to 1930s. According to the Caswell County Historical Association, "On February 2, 2009 a Mr. Eddie Davis working for a group called Inclusive North Carolina brought to the attention of the regular session of the Caswell County Board of Commissioners the issue of the segregation of white and black names on the memorial. He proposed that a new alphabetical listing be used given the times." 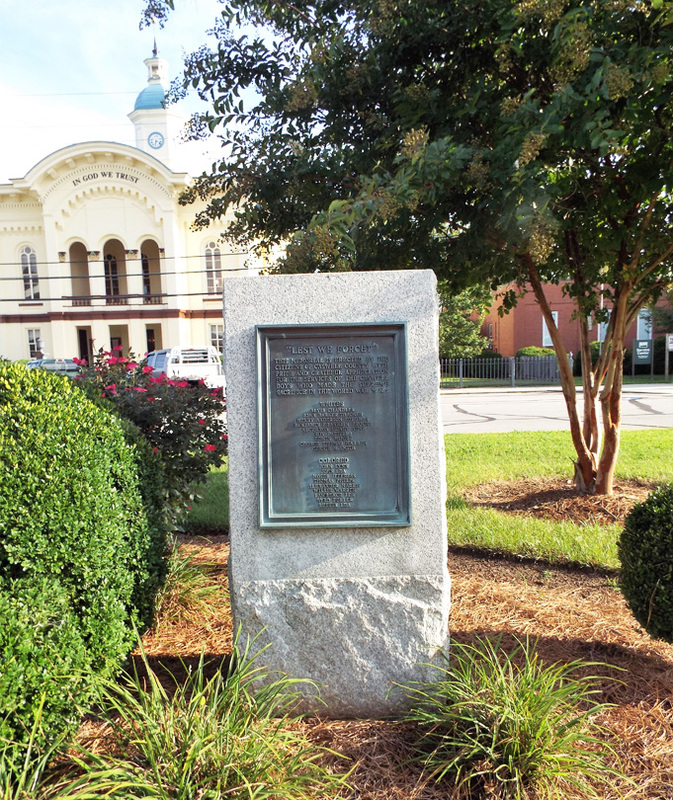 The monument is located in front of the Caswell County courthouse, at 144 Courthouse Square, Yanceyville NC 27379. Caswell County Veterans Monument and Confederate monument stand a few feet away. The memorial stands in the middle of a large city square, on a well-maintained lawn, surrounded by seasonal plants, bushes, and trees.